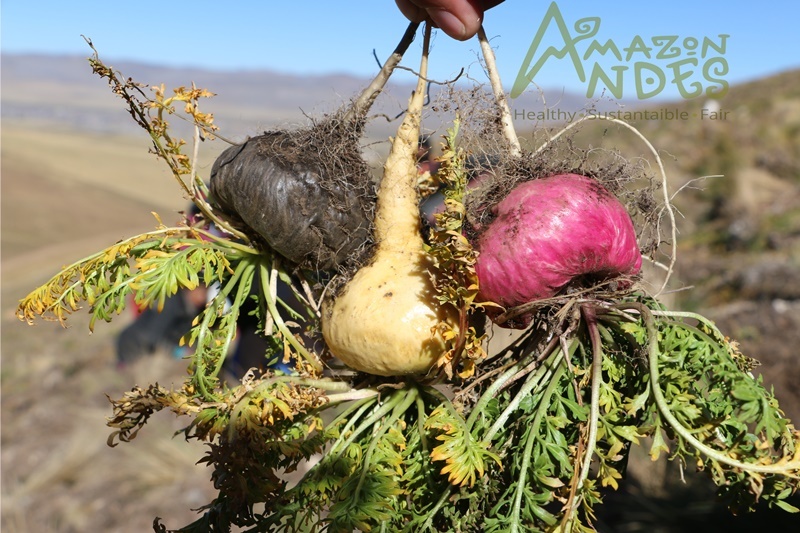 Numerous investigations have characterized the profiles of secondary metabolites in black maca. A variety of alkaloids, steroids and/or triterpenes, phenolic compounds, flavonoids and/or coumarins, tannins, glycosides, saponins, free fatty acids, secondary aliphatic amines and uncharacterized tertiary amines, anthocyanins and dextrins have been reported. Tablets Composition: Gelatinized red Maca powder, Xanthan gum and calcium carbonate. Part used: sun-dried red maca roots. Use: Adults: Take 1-2 black maca tablets with food. Children: 1 tablets per day with one of the meals are recommended for children over 12 years old. USDA NOP and EU organic.